...with an intense desire to home-smoke brisket, which triggered the seemingly harmless purchase of a Weber Bullet Smoker. Then, what started as a weekend smoking challenge quickly progressed from hobby, to passion, to daydream… and then ended up on Main St.
Jacob + Catherine never imagined they’d be opening up a BBQ joint just around the corner from home when they moved from Manhattan to Irvington, NY. Both worked for over 20+ years in Design before getting into the business of smoked-meats and pudding-cups. Now they want to apply everything they know about designing great experiences to Revenge BBQ so that they can bring authentic Texas-style smoked deliciousness to the town they’re proud to call home. Stepping away from his career as a Global Design Executive, Jacob made the transition to Pitmaster + Proprietor after going deep into the world of Texas BBQ with stints at Camp Brisket at Texas A&M in College Station, and an internship with his “BBQ Yoda” Russell Roegels at Roegels BBQ in Houston. 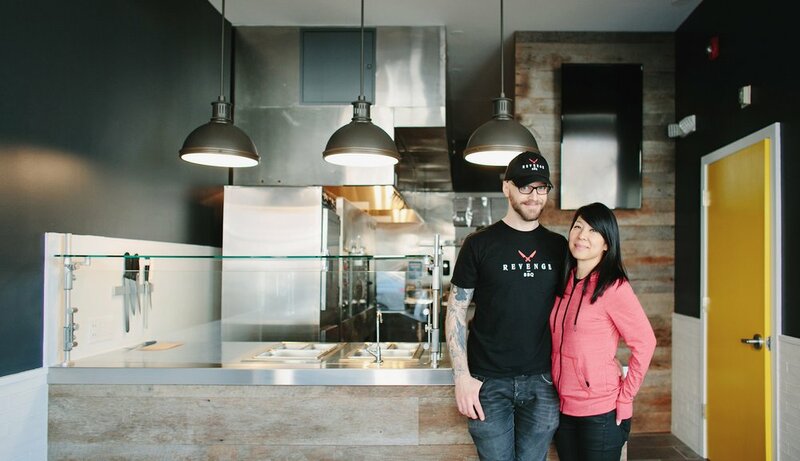 Throughout their journey, Jacob + Catherine have loved speaking with so many people deeply passionate about BBQ, a true comfort food that brings warmth, smiles, and happy bellies. And given that their son’s middle name is Revenge - based on the belief that, in life “happiness is the best revenge” - they could think of no better name for their new BBQ venture. 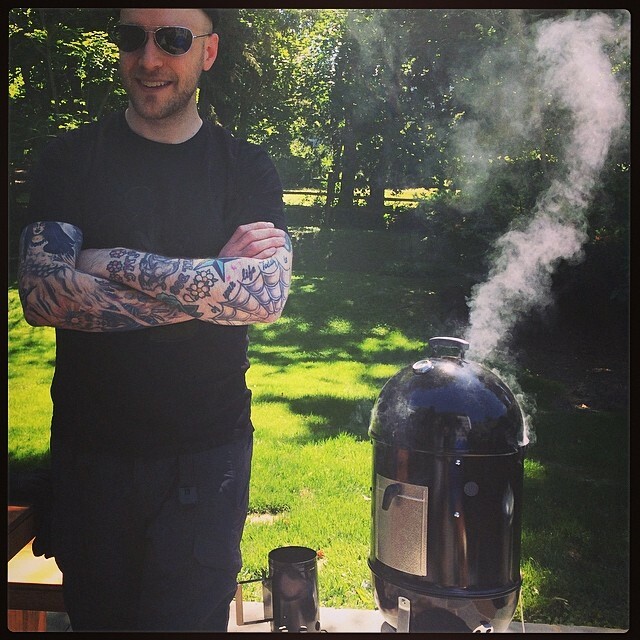 Chris DeRuzza is the ultimate triple-threat GM for Revenge BBQ with a background in the culinary arts, business, and BBQ. Chris graduated from the Culinary Institute of America (CIA) in Hyde Park, NY where he was classically trained by the country’s leading culinary professionals. After the CIA, he earned a BA in Hotel & Restaurant Management at Florida International University to understand the business side of the restaurant industry, including management, finance, and accounting. With an innate passion for food and a drive to succeed, Chris has been dedicated to honing his recipes and craft ever since. Over the last 12 years, he’s been fully focused on BBQ and perfecting how to smoke it low-and-slow.